On September 9 and 10, Guardian joined a number of fantastic vendors at the One Fine Baby fair in Melbourne. One Fine Baby is a family and lifestyle fair that sets itself apart with a premium, handpicked selection of the best and most stylish vendors in the baby and child-related industries. It’s a wonderful opportunity for families to explore creative and beautiful ideas in a fun and interactive environment. With plenty of new products to discover, craft activities, play areas and even a petting zoo, One Fine Baby is a fun day out for the whole family. Guardian Early Learning Group was selected to be a part of this prestigious fair and took the chance to create an inspiring space that displayed our Boulder Journey School and Reggio Emilia inspired learning philosophies. The area brought families, resources, ideas and knowledge together to highlight our vision and curriculum – and was very popular on both days! 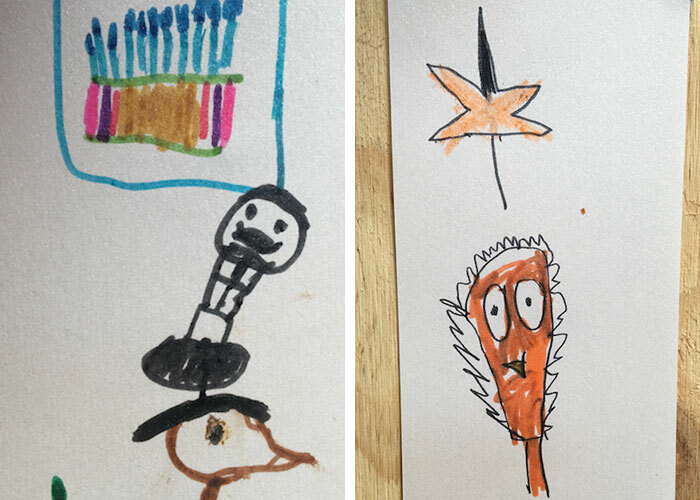 Sourced from the Guardian Pedagogical Exchange, Guardian invited children to use a range of accessible and purposeful, high quality resources and materials in order to support their explorations. Loose parts play builds a focus on using open ended resources such as natural, repurposed and recycled materials which encourages creativity, problem solving, critical thinking and physical development. 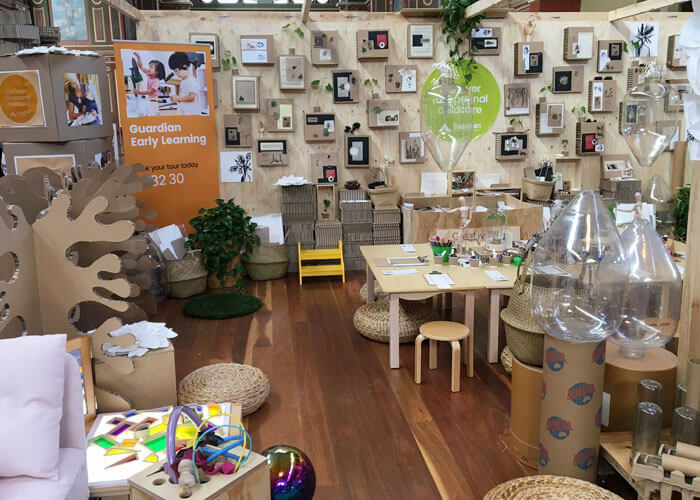 “The best part of the fair was establishing meaningful connections between parents to help them understand Guardian’s early learning philosophy including the importance of loose part play,” commented Stephanie. 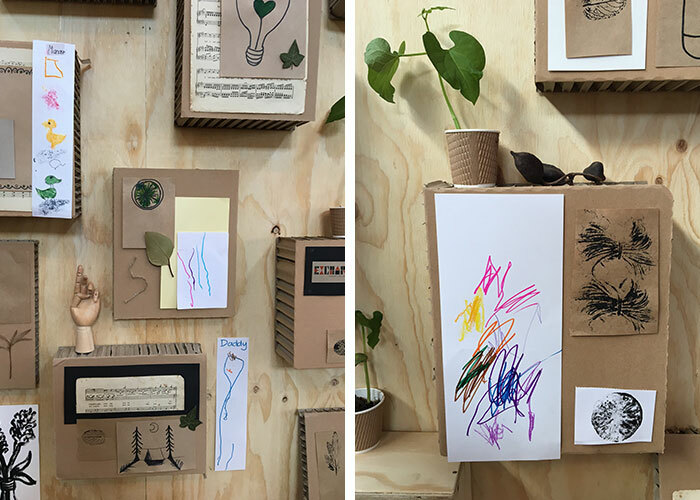 Throughout the fair children were given the opportunity to create and then add their artworks to the wall at the stand and have their creations transformed into magnets to take home. 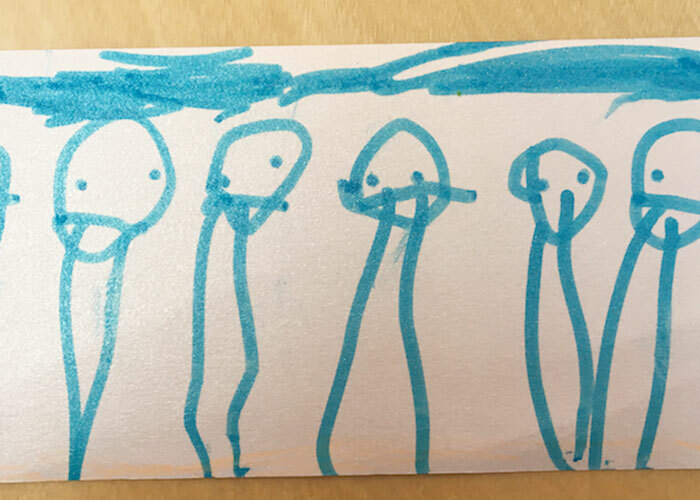 We saw some fantastic expressions and families were thrilled to be able to take home their child’s artwork on a magnet. Overall, the One Fine Baby fair was a huge success. We were able to have meaningful conversations with families and helped them to understand our vision and the multitude of ways Guardian supports children’s development at the centres. Guardian will also be at One Fine Baby in Sydney on November 4 and 5, so please come down and say hello! To register for tickets to this event, head here.